Ah, beautiful summer. We’re breaking out our sunscreen and laptop protectors to soak in the sun while hustling away. Why, you ask? In the big old business world, the summer season is really the summer promotion season. While your typical summertime checklists may include items for the perfect road trip, gear for an upcoming music festival, or groceries and drinks for your next barbecue, we had a little something else in mind. Check out our summer content promotion checklist to make sure that every content marketing campaign during the season is put live to absolute perfection, and gets you the engagement, reach, and conversions that your team desires. Honestly, this is one you should already know. Defining your goals clearly and putting together actionable steps to go from concept to execution is super important to make sure your promotion goes off without a hitch. At its lowest and most basic form, you should have a step-by-step put together that outlines all the major milestones for your promotion, along with dated timelines and metric-based goals. The types of promotion-friendly content that pull in huge SEO waves and potential, qualified new customers, can include well-crafted blog posts or articles, storytelling pieces, case studies, webinars, demo videos, viral videos, podcasts, or whatever else resonates with your audience. Just make sure that you have the right resources to commit to getting this content done to make sure it’s done well! While often times a long-tail effort, you’ll find that focusing on SEO, and even more specifically on deep linking efforts, while promoting and targeting is one of the most direct ways to reach qualified customers. Always run your targeted keywords through the Moz Keyword Explorer to make sure you’re hitting the right targets, and run your landing page through Can I Rank? to make sure your goals are attainable. Are all of the tracking links that you need set up accurately? Test them again. Are your coupon or discount codes live? Make sure of it. Once your content is live, the first step should be to share on your social media channels. Make sure your copy is on point for the audience that you’re trying to connect with (either broadscale or more niche, targeted segments) and that you’re writing to reach the correct audience in every way – from the grammar to the emojis. Even if your goal is to acquire new users, never underestimate the power of sharing with your existing audience first – even encourage them to share if they feel like it. Send out an email to your current subscriber base, and A/B test subject line, visuals, or even main body content to test out what works best for your current crowd. In the event you need to capture leads more effectively, sometimes it’s easier to set up a targeted landing page to include all the information you need to show. We love to use Unbounce to put together quick, professional looking, easy-to-tweak landing pages to direct people to from an ad, cross-promotion, or another outside source. Once you’ve submitted to the sites you can and have reached out to everyone in your network currently, it may be time to put an outreach plan together to get your content into more qualified hands. This in-depth guide from Moz shows you how to set up and get started with a link building outreach plan that’ll work for you. What you’ll also find in the handy Moz guide mentioned above is a helpful tip: do your outreach perfectly and never forget to follow up with people and businesses that you’ve reached out to. Their guide also includes some ideas for researching the right targets, getting organized, and even provides templates for outreach that have proven to work for many industries. Paid advertising is needed more and more often to get the right reach in terms of qualified viewers online. Use the easy tools available to you, like Facebook, Twitter, and LinkedIn ads to promote your content to targeted audiences. You can also tap into the heavy-duty powers of Adwords and Bing to really work on your display ads. No matter what route you choose, make sure those tracking links are used! One piece of content can so easily be made into five. You can (and should, often times) turn your written content into a video post or presentation, and turn your media-based content into text, too. Having a full spread of the text and media for your content will improve SEO and engagement at the same time, with little to no efforts. We’ve tried out Lumen5 to transform our blogs into shareable videos, and use services like TranscribeMe to transcribe videos for YouTube SEO. Often the hardest part, once everything is out in the wild, is to let it do its thing without intervention. With a well thought out strategy and execution of the steps above, you should already be in a good place to put things on autopilot for a week or two before taking a look at how things are performing. The exception to this rule, of course, is to check in and make sure everything is at least working. Without the numbers, what was the whole point? Measure your success against your goals, then rinse and repeat. Ready for the summer, or feeling overwhelmed? Drop your thoughts and feelings in the comments below and we’ll help you through it. I honestly can’t remember the last time I went shopping in-person. Between work and a busy personal life, the idea of spending a few hours on a day off is hellish – I’d much rather be enjoying that time with great people in my life, or doing some actual relaxing. Sufficed to say, eCommerce sites are big in my life to get me the daily items and new clothes I need quickly and easily, like most other consumers today. What’s within the power of this boom in online shopping is the type of search that goes on. Every purchase, after all, begins with a simple search to find a specific item. This in mind, SEO is one of the most critical activities that eCommerce businesses can (and should) invest in. The big question for businesses operating and selling online is: How can eCommerce sites capture more relevant organic traffic? 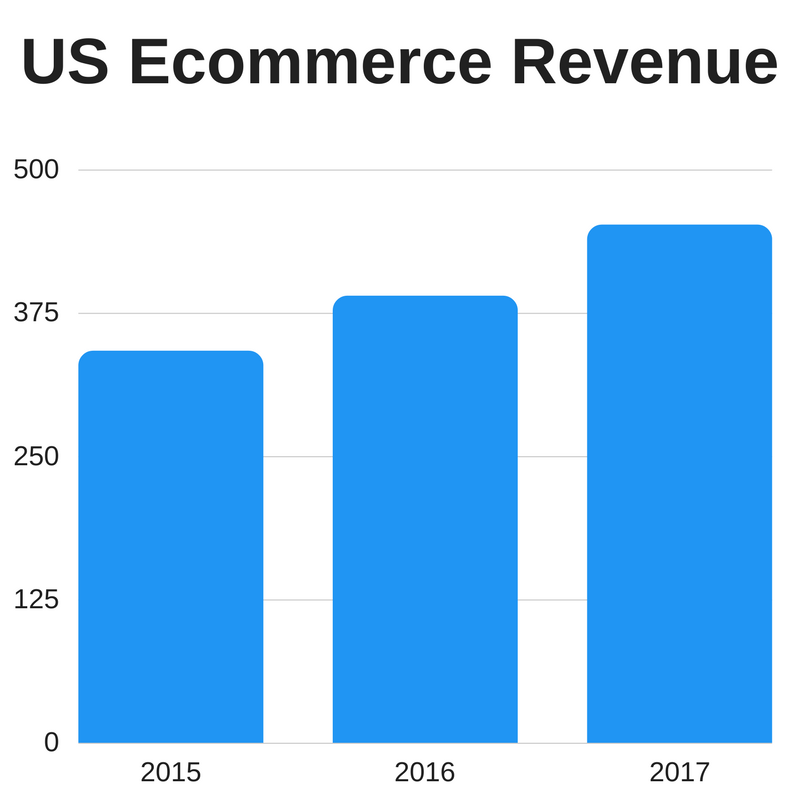 The awesome people at Wishpond set out to help answer this, creating a full 20-point checklist of SEO tactics for eCommerce businesses. Take a look at the first few tips and the complete infographic checklist below, then head to the Wishpond article for even more incredible information! What’s your favorite tip from the bunch? Let us know on Twitter and be sure to mention @Wishpond! Every time your company puts something out into the world, it’s using its voice; every social media post, every video clip, every press release, every website tweak. What you do with that brand voice, and especially what its voice sounds like, is one of the biggest things you can do for the prolonged health of your brand. Defining your brand isn’t an easy task – neither is developing the brand voice around it. Truthfully, it’s best come at from an all-hands-on-deck perspective in a lot of cases. Those who are closest to the core values and mission of the company will have a genuine interest in creating a brand voice that’s powerful, positive, and productive. There’s a lot you can do to help identify your brand voice or take another look if things are feeling stale. Here are just some of the best exercises we’ve used and recommended over the years of consulting to develop and maximize the reach of your brand voice. This should be a no-brainer, but we’re mentioning it for all of the kids in the back of the class. Before you can figure out what your brand voice should be, you have to have a foundation for understanding who you are trying to talk to – your customers. We’re talking doing the research and assigning a personality to each major audience segment; make illustrations of each one if you need to better visualize. The more you can personify each “type” of consumer that wants what you’re selling, the easier it is to develop the type of voice and messaging that resonates with them. Hear us out, these types of brainstorms are actually really fun – think of it like a really specific improv session in your conference room. For this exercise, everyone participating should have something to write with/on, and a timer should be set to about 10-15 minutes. The object here is to come up with as many adjectives you can that accurately describe your brand. Then, everyone can compare to see where descriptors and ideas overlap. Is this the most suitable word for the idea we want to convey? Is there another word which better describes this idea? Does our audience perceive us this way? Set aside a solid afternoon for this activity, and make sure your whiteboard markers are all ready to go. [Your brand] is always ______ and [your brand] is never _______. Not trying to beat a dead horse if identifying your core values is something that’s already been handled as a company, but going back to that conversation never hurts. If anything, talking altogether as a company or leadership team about the brand’s core values can help to figure out how your brand voice should be structured. Beyond adjectives and descriptors like the brand voice exercises above, discussing as a team what the values are of your company is critical to defining (and refining) a voice. For each question, give your team up to 5 minutes to write down thoughts and answers. Then, have everyone share their responses and discuss them. I want people to think ” _______” when they come into contact with my brand. I want to try to follow the steps of the brand voice of _______. I don’t like brand voices that sound _______. Interacting with customers makes me feel _______. This cheat sheet from the friends at Brandfolder is also a handy way to start figuring out what you want your brand voice to be, according to personality, language, tone, and overall purpose. Here’s an example of a filled out version that defines every section in 4-5 different words, descriptors or phrases. When you’re feeling stuck, another great brand voice exercise is to go straight to the source on the places where you have access to your customers – social media channels. Using social listening and social analytics tools, go and locate the people in your audience (or potential audience) on social media to monitor what and how they are engaging with things. Also, take the opportunity to find brands that you resonate with or that you want to emulate in some way on social – gathering up this list and spending some time figuring out WHY they resonate with you and your brand will make all the difference. Do you have any brand voice exercises that you’ve tried out in the past? Let us know on Twitter, we’d love to chat!